LAS VEGAS – (November 11, 2016) – Las Vegas Market announced today that a new juried selection of style-setters will debut an exciting and ever-changing assortment of better home décor in a dedicated 12,000-square-foot space on the 5th floor of Building C. The new juried presentation – designated as Salon West and featuring seven leading suppliers – OLY Studio, Natural Curiosities, Lowcountry Originals, Luna Bella, Europe2You, Amity Home and Tritter Feefer – will be unveiled with a special ribbon-cutting ceremony and gala launch party on Monday, January 23, during the Winter 2017 Las Vegas Market. Exhibitors showing in Salon West have committed to materially changing their showroom displays every market to keep the cutting-edge presentation fresh and invigorating. Seven inaugural vendors have been chosen to participate in the premiere of Salon West: Amity Home, a supplier of beautiful quilts, duvet covers, shams and pillows known for its bright hues, rustic patterns, riveting textures and intricate handcrafted details; Europe2You, a provider of sustainable and carefully-crafted antique and repurposed home furnishings and culinary accents; Lowcountry Originals, producers of a unique line of lighting and accessories crafted from natural materials like marsh reeds, old metals, driftwood and oyster shells; Luna Bella, a supplier of an expansive line of lighting, clocks, furniture and accessories recognized worldwide for its unique blend of soft elegance and industrial chic flair; Natural Curiosities, a lifestyle brand providing unique wall décor, furniture and flooring known for a design aesthetic that combines distinct European elegance with California enthusiasm; OLY Studio, an award-winning design team that infuses antique motifs with a contemporary edge to create a line of modern luxury furniture, accessories and lighting; and Tritter Feefer – a new-to-Market resource – an environmentally-conscious manufacturer of fresh, transitional furnishings and accents. In addition to the gala launch party on Monday, January 23, Las Vegas Market will be supporting the debut of Salon West with a variety of unique initiatives throughout Winter Market, including special showroom events and trunk shows; and dedicated product displays featuring merchandise from Salon West exhibitors at the C5 escalator lobby and on other better goods floors. For more information, visit www.lasvegasmarket.com. Find us on Facebook and Twitter. 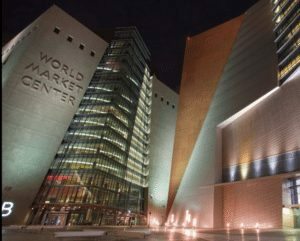 Las Vegas Market is produced by International Market Centers, L.P. (IMC), the world’s largest operator of premier showroom space for the furnishings, home décor and gift industries. International Market Centers owns and operates 12.1 million square feet of world-class exhibition space in High Point, N.C. and Las Vegas. IMC’s mission is to build and operate an innovative, sustainable, profitable and scalable platform for the furnishings, home décor and gift industries. For more information on IMC, visit http://imcenters.com/.